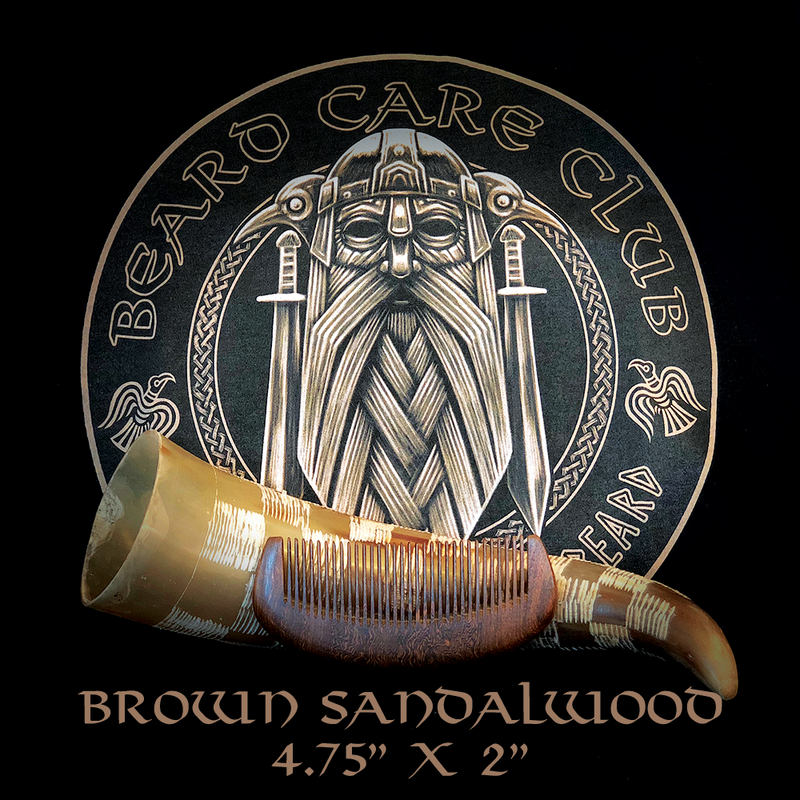 The Shop / Brown Sandalwood Beard Comb 4.75" x 2"
Brown Sandalwood Beard Comb 4.75" x 2"
These beautiful brown sandalwood combs are hand made in the United States. These combs have naturally unique wood markings. No 2 combs are alike. The darkness of the wood will vary. 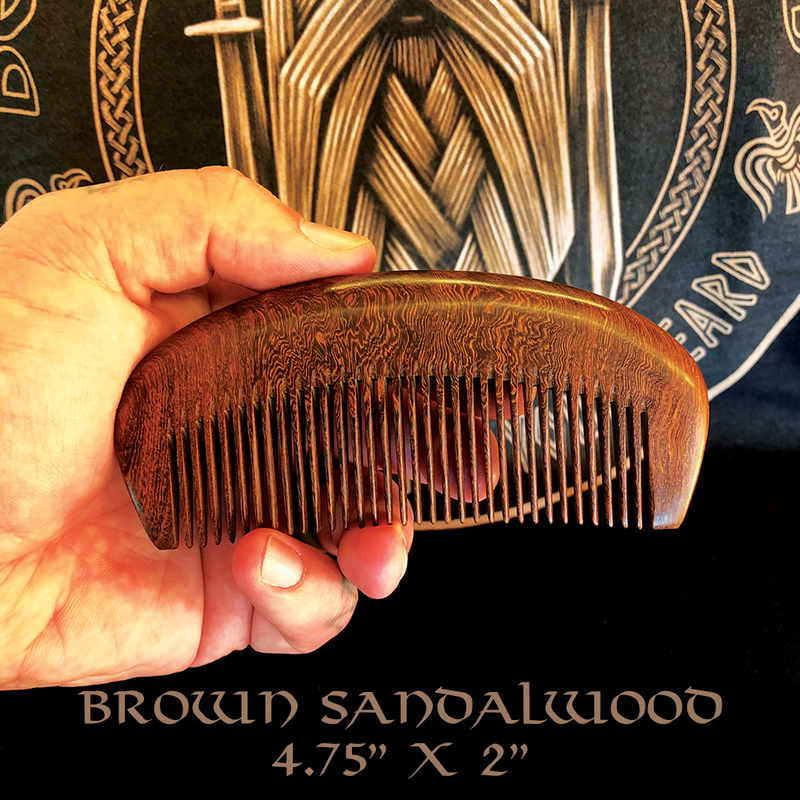 Wood combs are perfect for beards and hair because there is no static buildup. Wood combs also distribute oils more evenly which help coat the beard from skin to tip. There is no logo or brand on the comb. This was done intentionally so we can pass the savings on to you. Besides, you have to be sick of our logos by now!